Perth based solar energy and electricity retailer Infinite Energy, today announced it has been acquired by Sumitomo Corporation. Infinite Energy Managing Director, Aidan Jenkins, says that it is the right time for the sale of the business, and a logical step in the future growth of the company. 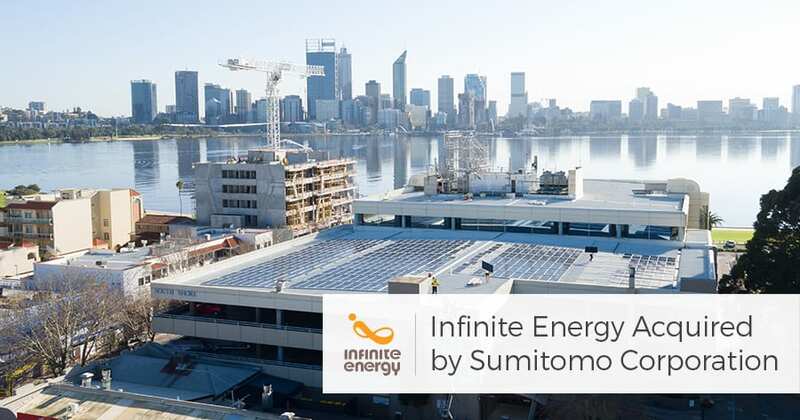 The 100% acquisition by Sumitomo will allow Infinite Energy to accelerate the expansion of its solar business throughout Australia, build on its diversified set of distributed energy products and grow its electricity retailing arm in Western Australia. 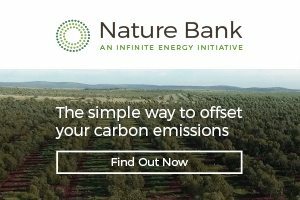 “We see the acquisition by Sumitomo as not only a huge vote of confidence in Infinite Energy, but in the worldwide transition to renewable energy which is in full swing in Australia. The new ownership structure will provide Infinite with a platform to accelerate this process” he said. Sumitomo (via its wholly-owned subsidiary Summit Southern Cross Power Holdings Pty Ltd), is already a significant investor in the energy industry in Australia, particularly in Western Australia. It acquired interests in the Newgen Kwinana Power Plant in 2009 and the Bluewaters Power Plant in 2013. The two power plants supply around 30% of the electricity generated within Western Australia’s main electricity grid (enough to power about 800,000 households). Sumitomo also has interests in significant renewable energy assets around the world. Established in 2010, Infinite Energy is the largest retailer of solar energy systems in Western Australia and the fourth largest in Australia. It also sells energy storage (battery) systems, electric vehicle charging infrastructure and manages embedded networks. Additionally, Infinite Energy operates a solar asset business whereby it owns and operates solar energy systems at clients’ premises and retails the energy from those systems. In 2013 Infinite Energy established an electricity retailing business to compete in the grid supplied contestable electricity market in Western Australia. In 2017 Sumitomo announced that “Achieving Harmony with the Global Environment” was one of its six key corporate drivers. Aidan Jenkins will continue to lead the Infinite Energy business, along with the existing senior management team.